When you want a luxury sedan that offers a high power-to-weight ratio, luxurious interior, and integrated dynamic control module with active ride control you want the new Nissan Maxima available at Vann York Nissan near Winston-Salem, NC, serving Greensboro. When you want a luxury sedan that also provides you with advanced technology, you want the new New Maxima. The available Around View monitor with moving object detection, will not only show you what's behind you but will also provide you with a virtual birds-eye view of what's around you. Grab the wheel of a 2017 Maxima SR and enjoy sports car thrills as you run through the gears using the column-mounted paddle shifters. To test drive a new Nissan Maxima near Greensboro, NC, contact Vann York Nissan near Winston-Salem, NC. Our knowledgeable sales associates will showcase the various features of your next new Nissan! 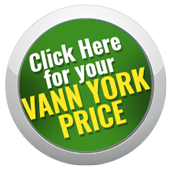 Your next new luxury sedan is waiting for you at Vann York Nissan near Winston-Salem, NC. When you are ready to take command of a new 2017 Nissan Maxima, our dealership is proud to provide finance options. So speak with our team today and discover more about the Nissan Maxima SR Midnight Edition with black sport spoiler and black rear diffuser. If you are looking for blind spot warning on a luxury sedan, then you are looking for the new Nissan Maxima SL. If you are looking for a luxury car with moving object detection, you are looking for a Nissan Maxima Platinum. As you can see, no matter what Nissan Maxima model option you choose, you will pick a car that is committed to safety. The zone body construction with front and rear crumple zones, energy-absorbing steering column, high-strength steel side-door guard beams, and hood-buckling creases are all standard safety features. As is the vehicle security system to protect the thing that protects you. Test drive a new Nissan Maxima at Vann York Nissan near Winston-Salem, NC today. After you take one home, our Nissan dealership will be here to provide necessary maintenance. You can schedule service at any time. Visit us today for an affordable price on your next new Nissan Maxima!